Just recently, I sat down for coffee with a dear friend and her husband. Talk of my Happy Place (Highland Park Village) and of course all things Fab, which happens more often than not with me over coffee. Exchange of Missoni for Target Finds and causal “just because” gift giving, always makes for a great casual coffee date with friends. Being a pair of writers at coffee, talk of words both used and misused came along. Its been nearly two weeks since our afternoon coffee conversation, and a question that was asked from my friend turned role model, has stayed with me, I found it to be a very interesting question to ask for the choice Words used in the albums would determine my answer. My answer, came as a surprise to my company, however I must admit I have been known to be a bit of an enigma, the answer… 1.Supposed Former Infatuation Junkie: Alanis Morissette 2. Hotel California : The Eagles 3. Achtung Baby : U2. The reasoning is simple, the use of words among my choices “in my opinion” a great example of not just my style in music, but rather my style of the use of words. It really is a dying Art, not the words part, but rather the styling of them to convey a message or story, that it seems has been lost. Alanis’ Thank You letter to India, or the eagles’ serenade to a hotel that was no resort, and the profound “ONE” by U2 needs no explanation why it made my list. To add, if I had the chance I would probably try to sneak in Lady Gaga’s Born This Way, however I was only allowed three, but I’m sure would run back into the fire to snag Gaga. Ralph Lauren, our King of American fashion, has given way to a new trend, a trend that can not be seen, but only heard. The Rugby Ralph Lauren search for the next great Poet, has reopened a door into the art forum that many had thought was gone, when really it had only been underground. Mr. Lauren, has always described himself, not as a fashion designer, but a creator of worlds ,using fashion and lifestyle to personify his poetry. Rugby is much like the Polo way of life, a sport personified with luxury and governed by Poetic Justice. 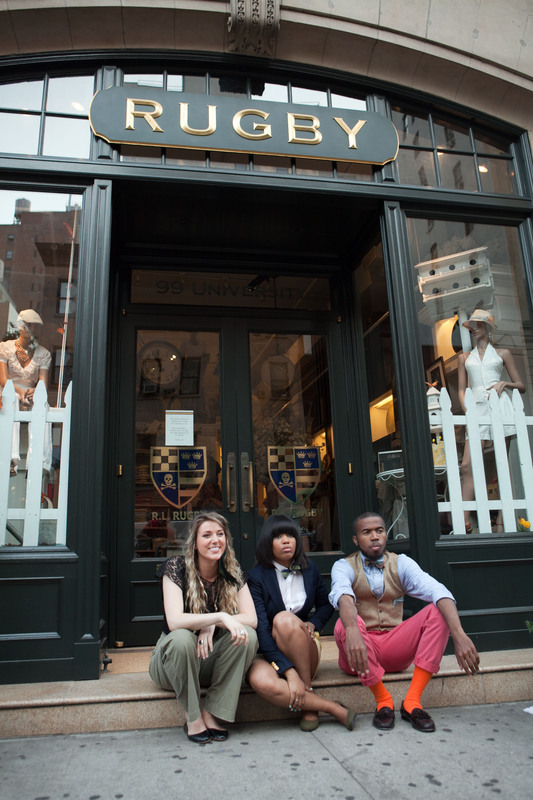 This past summer, the Rugby stores across America were turned into a venue were spoken word artists could come together in the sharing and conveying of their stylish words. As I said in a past entry, Fashion is mannerism, in today’s world that word,FASHION, and its meaning has been lost. Fashion is simply the way one chooses to do this , or to do that, rather than the just cloths. Mr. Lauren has been poetic in his own right, the Fall 2011 collection for Rugby, with the Tweed Run line and bike ride event, that is highlighting and english tradition in bicycles, has the persona of a time gone by, when words were not just entertainment, but a lifestyle in that of it self. The Poet competition was a rude awakening for how powerful words can be. Jasmine Mans, the winner of the competition, evoked words and names in pieces, a name such as Michelle Obama, its amazing how one name can give us a thrill of power and strength. The Poets Club, now a part of the Rugby Style Blog, seems to be a perfect fit among the lifestyle which attached to the brand. Much like that question , my dear friend asked me about music, it evoked my thought on the usage of words, I feel that question hit the nose on how we use words. a lyric after all is a combination of words put to together to do what poems and fashion do, creat a world of fantasy, luxury , or play. Music like fashion is a daily use, some would say we live our life in it just like cloths. Its true, if your really think about it at every moment of the day we run into some kind of music. It leads me to observe the fact that poetry has never been a dying trend, it simply transformed into many different forms, music, art, fashion, it’s all there. Rugby Ralph Lauren, with its Poet club, has stripped words down to origin and core,poetry, but at the same time combining, music, and fashion with poetry in harmonious Bliss. The Rugby Ralph Lauren Poets Club, is more than just an Obsession for me, they would have to come up with an entire different word to describe my feelings about it. I stopped in at Rugby Highland Park Village, to inquire about a possible Poets Event, clearly the excitement of the club was shared among one associate and myself. However no event is set for Dallas, but maybe, just maybe we will see one very soon, and I hope you see everyone there. Until then I would love to ask, all my readers that same question, that awakened curiosity in the world of poetry..would love to hear everyone’s answer, and if you have a favorite poem, please do share would love to hear it. This entry was posted in | and tagged bikes, DALLAS, Highland Park Village, Hotel California, music, poetry, poets, ralph lauren, rugby, rugby ralph lauren, Society, tweed run, U2. Bookmark the permalink. Sad to see the Rugby store close-maybe Dylan’s candy bar will be moving in?